From November 20–29, 2017, book a balcony stateroom at an ocean view rate on MSC Cruises’ on select Caribbean sailings on MSC Divina and MSC Seaside from December 23, 2017, through May 12, 2018, offering up to more than 50 percent savings on select sailings. Contact MSC Cruises or your travel agent for more. Cunard Line will feature promotions on a range of cruise itineraries on Queen Mary 2, Queen Victoria, and Queen Elizabeth. From November 21 to November 30, 2017, new voyage bookings will receive free gratuities, 50 percent off 3rd/4th guests, and a $200 reduced deposit on various itineraries around the world. Crystal Cruises has unveiled its new, limited time “Gift of Luxury” holiday savings offer on more than 100 travel experiences in 2018 and 2019. Offering additional cruise fare savings of 10 or 15 percent from November 20 through December 15, 2017, the promotion is combinable with nearly all of Crystal’s existing value propositions. The offer applies to select voyages of seven to 24 days aboard Crystal Cruises, Crystal River Cruises, and Crystal Yacht Expedition Cruises. Contact Crystal Cruises or your travel agent for more. Contact Royal Caribbean International or your travel agent for more. Azamara Club Cruises’ Black Friday and Cyber Monday sale offers $500 onboard credit per stateroom for oceanview rooms and above on select sailings booked between November 24 and 27, 2017. Contact Azamara Club Cruises or your travel agent for more. Seabourn is marking the beginning of the holiday season by featuring a “Wish List” sale, which starts November 24, 2017, on a selection of global voyages through summer 2018. The sale features a range of savings and value-added enticements on select voyages departing through August 31, 2018, on bookings made by December 12, 2017. 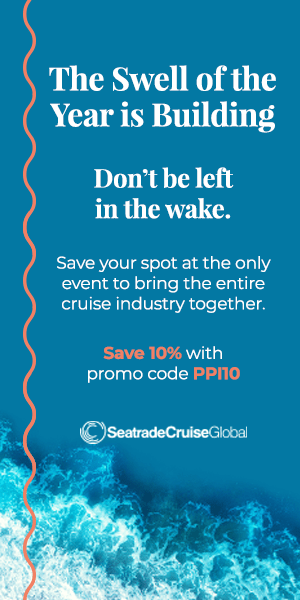 Offers may include complimentary three veranda suite category upgrade, complimentary veranda for ocean view category upgrade, and up to $1,000 U.S. shipboard credit per suite on select sailings. Contact Seabourn or your travel agent for more. Silversea Cruises’ Silver Friday Exclusive let’s you enjoy 5 percent savings on all voyages departing January–April 2018 that are booked November 20–28, 2017. Contact Silversea Cruises or your travel agent for more. Princess Cruises is opening the holiday season with its annual Cyber Sale. Between November 17 and 29, take advantage of either the Sail Soon offer, saving up to $1,000 per stateroom on winter 2017-spring 2018 cruises, or the Sail Later offer, with free location upgrades, free gratuities, and up to $600 onboard credit per stateroom on summer 2018 to spring 2019 voyages. Contact Princess Cruises or your travel agent for more. Norwegian Cruise Line is holding a “week-long Black Friday” sale, offering those who book between now and November 24 all of the following on almost 200 different sailings: a free unlimited open bar, a free specialty dining package, 250 minutes of free Wi-Fi, and $50 per stateroom towards shore excursions in each port. These can be combined with Norwegian’s Friends & Family Sail Free offer, allowing third and fourth guests to sail for free on select sail dates. Love to cruise? Know someone who does? Give the gift that lasts all year long. 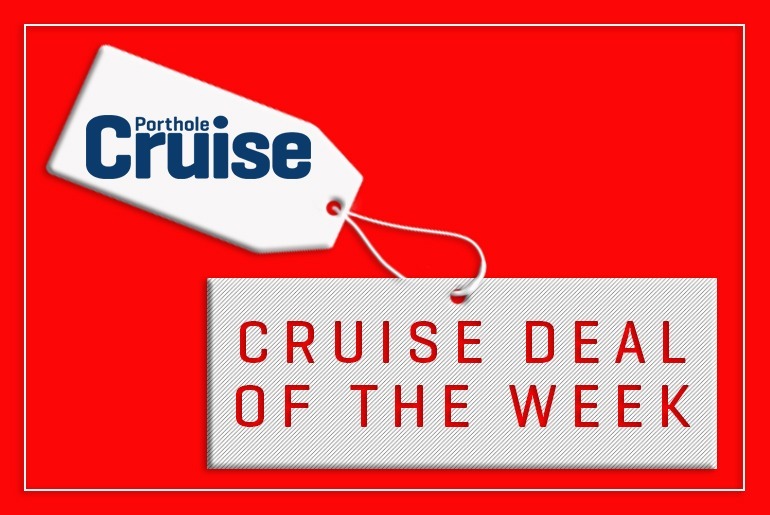 Subscribe to Porthole Cruise Magazine and get a limited-time offer of a reduced-rate plus the free digital edition. This offer is good for you — and all the cruise lovers on your holiday gift list! Visit Porthole Cruise Magazine to subscribe! Note: Be sure to check with other cruise lines to see if they’re having a Black Friday or Cyber Monday sale. This list is current at posting time and may not be a comprehensive list.